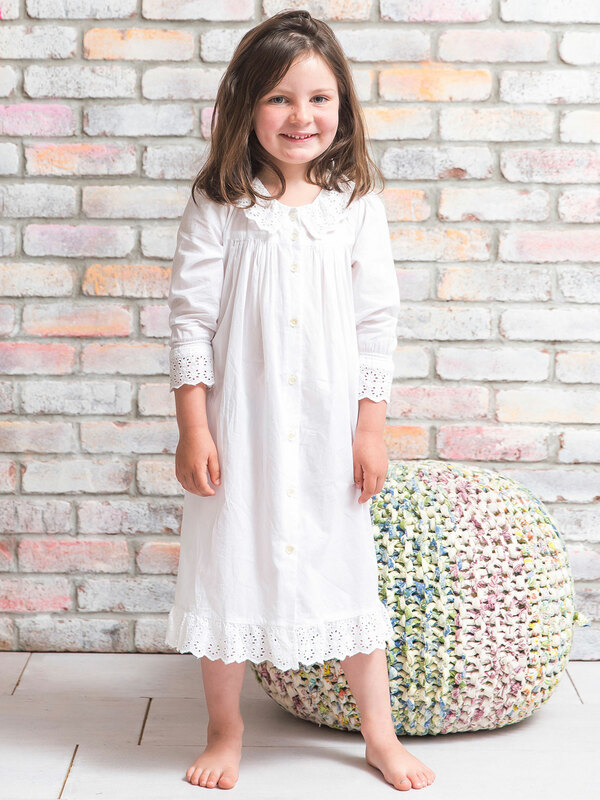 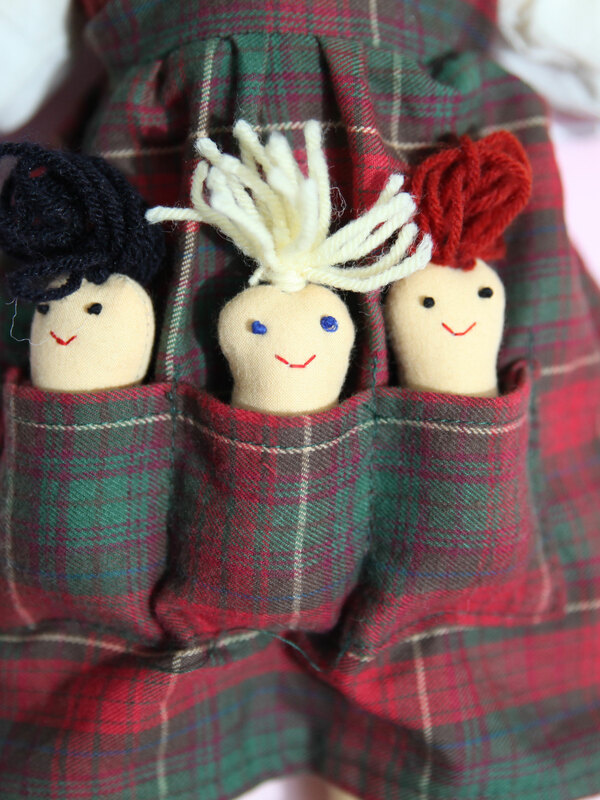 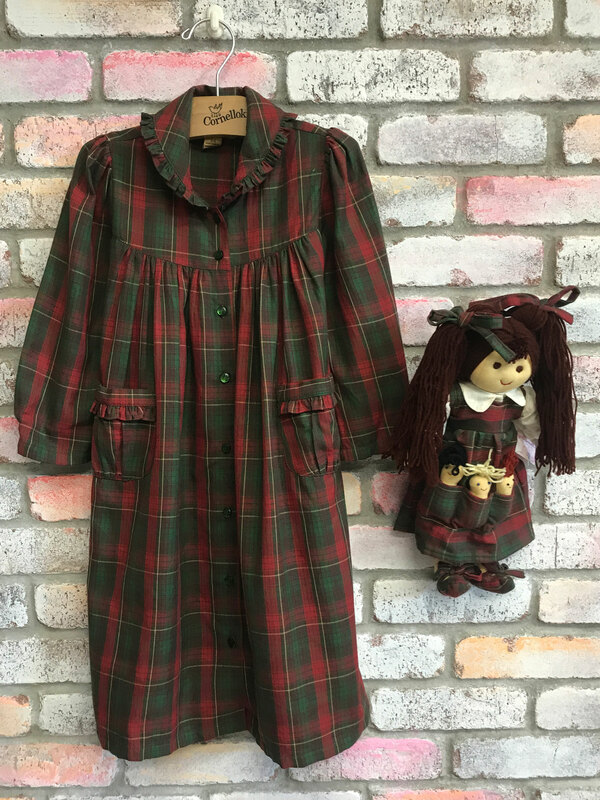 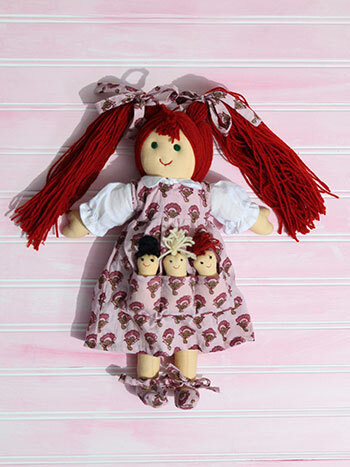 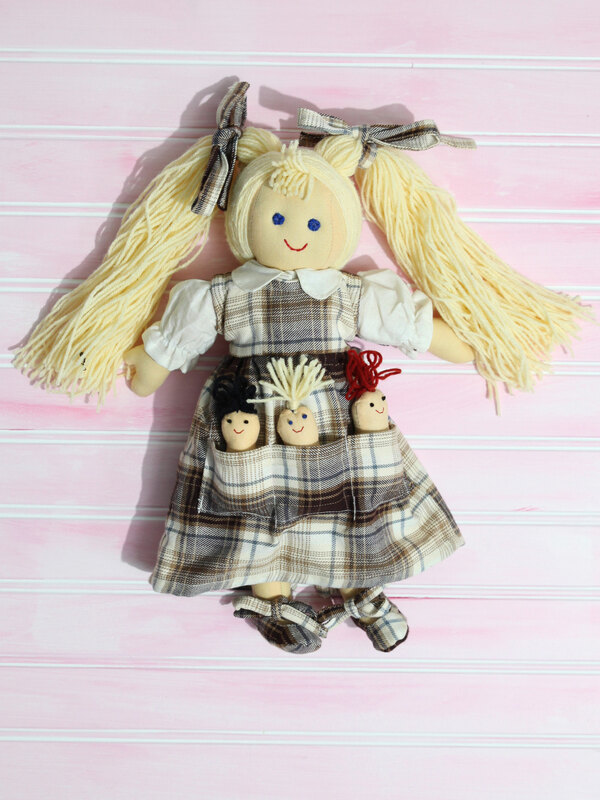 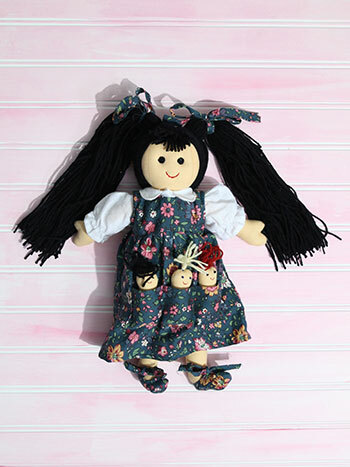 Old-fashioned and undeniably adorable, every little girl needs one of our vintage-inspired rag dolls. 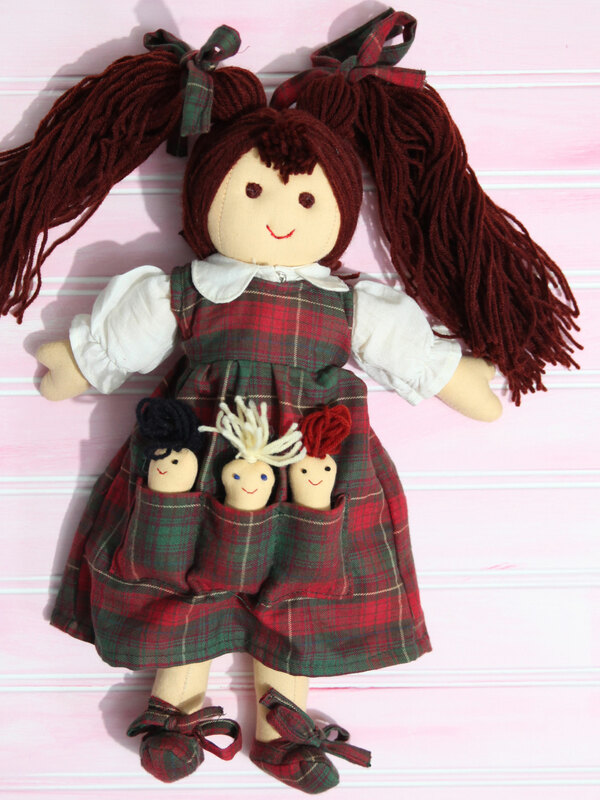 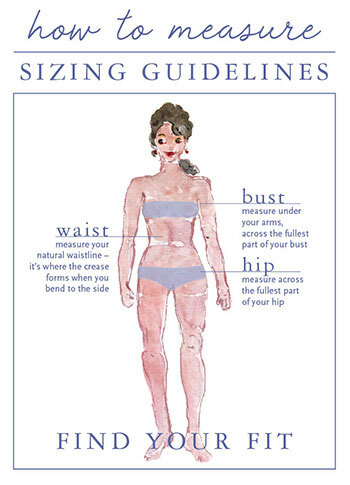 Brunette in the family? This could be your new bestie! Comes with three tiny detachable babies finding a cozy corner pocket of Momma's dress.